Another darn place to list my reviews and to obsess about books. 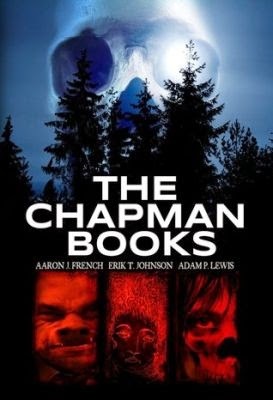 The Chapman Books has an intriguing premise. A group of photographs, newspaper clippings and manuscripts are found in a house of Lewis Adams' deceased aunt. The three manuscripts keep referring to a Chapman family in the late 19th century. The papers tells strange stories about this family often referring to the patriarchal Harold Chapman and includes many references to scandals, mysterious deaths and occult incidences. The manuscripts, "well, he called them manuscripts, but more accurately they were diaries of a kind", were also quite conflictual in dates, regions, and even whether there were more than one Harold Chapman. Adams, with the help of Aaron J. French, and Erik T. Johnson took each manuscript and styled them into 3 separate tales. On talking with Aaron J. French, he implied that this part about the newly discovered manuscripts was true. Having read the stories allegedly based on them, I am more than a little skeptical of that claim. But that is a moot point because the three stories that comprise The Chapman Books make for a very strange and eerie read and a spookingly pleasurable look at one of the strangest families, fictional or otherwise, to creep out 19th century America. 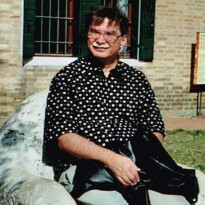 Aaron J. French wrote the first story titled "The Stain" and it is my favorite of the three. It appears to take place shortly after WWI. Dr. Stetson is called from his home in South Carolina to Manhattan to treat the family of a woman he hasn't seen since she was a little girl. The eeriness started quickly as the doctor is interrupted on the journey by a pig-faced man who shows him a card saying "You are going to die". "The Stain" is an imaginative take on the demon possession story as we meet the Chapmans, or at least this version of the Chapmans, and learn their secrets. The author wastes no time in setting the environment and is quite good at giving more than a few literary scares. It has a decidedly Gothic feel and catches the feel of the early 20th century quite well. While he has good and solid characterizations, it is the pigman that stays in the mind. It will be a nice addition to your nightmares. The second story, "The Delirium" is very different from the first and third which is a problem. Erik T. Johnson has a very unique style. It's a little like a weird cross between R. A. Lafferty and Robert Anton Wilson. He is fond of strange names, surrealistic and fragmented descriptions, and puns that are often sexually loaded. Some are thrown in so haphazardly that it interrupts the flow of the story. For instance, I am still not sure a term like "Cuntdescending" is an intentional pun or a typo. It is a style of writing I can usually get absorbed in simply for the feel of the wordplay on my tongue and mind but having been set between two shorter and different tales, it is jarring. The time frame of the story is in the 1860s and 1880s. The plot is quite fascinating. It involves an orphan, an ethically challenged doctor also named Harold Chapman, and a medicine called Etceracaine that comes in handy considering the author's somewhat psychedelic meanderings. Yet it does become a little difficult to follow due to the author's unique style. It is a fascinating bit of storytelling but it is also, in my opinion, the weaker of the three. Adam P. Lewis's "The Remains" returns to a more conventional form of narrative. We are again introduced to The Chapman Family with the names of the family members being the same as in "The Stain." Yet this is a somewhat different family that doesn't quite mesh with the first story. This brings up an interesting conceit in this book. These are stories that do not totally gel together and are intentionally conflictual. The three writers clearly did not want to have a comfortable "everything fits together" experience but instead have created a "Chapman Mystique" that entertainingly baffles instead of explain. The Chapmans are not referred to so much as one family but as "variants" on which the authors place their own interpretations. Each author brings those interpretation to the family irregardless of continuity. It an unusual approach and in this case a successful one. In Lewis' story, a Dr. Myerburg is called to the Chapman household on a medical emergency and is confronted with a entity called a "torturing pestilence". I will leave the rest for you to experience but this is possibly the most straight-forward horror tale of the three and, if I liked the first story the best, "The Remains" is a very close second. So overall, I really liked the stories by French and Lewis but was somewhat perplexed by Johnson's contribution. Yet the book should be rated by its ability to meld these three tales into a satisfying telling of the Chapman Saga, complete with its contradictions. By that and its successful attempt to scare and entertain, it deserves a solid four stars.